It appears Samsung is bringing one of the best features of the Galaxy S7 down to last generation’s flagships. According to a series of reports, the Samsung Game Launcher and related gaming tools will now work on the Galaxy S6 and Note 5. Presumably this would also include the S6 Edge and S6 Edge+ as well since they were released as part of the same generation. SamMobile says that you should now be able to update the Game Launcher from the Galaxy Apps Store. PhoneArena also mirrored the same report, which gives us confidence that some owners have been able to install these on their phones. 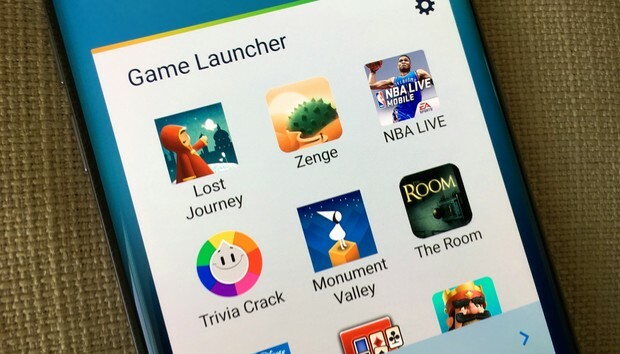 The Galaxy Game Launcher brings a lot of clever innovations into smartphone gaming. Along with tucking all of your games into a folder, the Game Launcher includes several tools that enhance the mobile gaming experience. You can quickly record your gaming, disable alerts, and save power by dropping down the frame rate and resolution. Samsung will also add in the Game Launcher to the Galaxy Note 7, so you can look forward to it if you’re planning on grabbing the latest and greatest big-screened phone. The impact on you: If you have one of last generation’s Samsung flagships, you ought to head to the Galaxy App Store and see if you can download this rather cool app. If nothing else it eliminates the need to drag all of your games into one folder. The other add-ons are pretty nice as well, killing off alerts, saving you power, and offering trending lists of all the popular games.